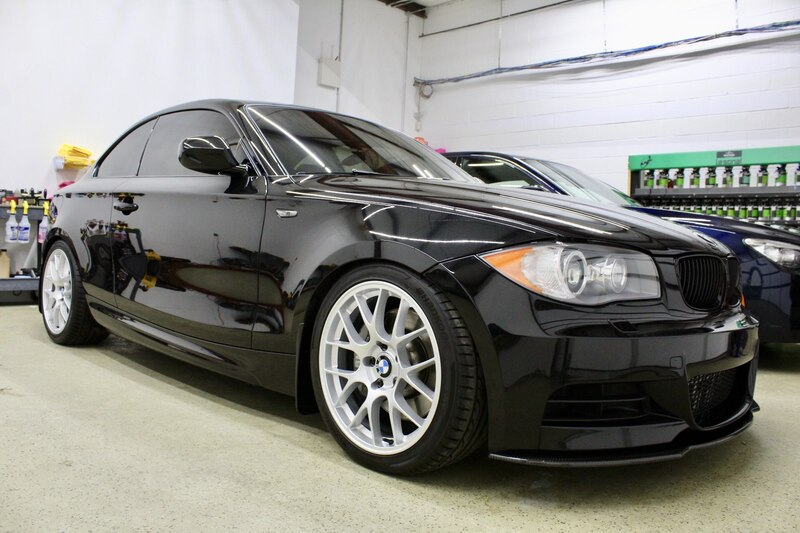 Been lurking the forums since August looking for info on the 1 series after picking up a 2011 BSM DCT 135i. 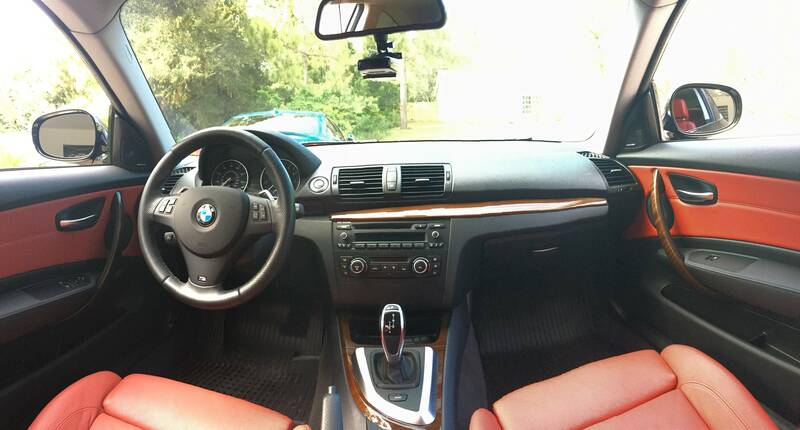 It’s a Black Sapphire Metallic with Coral Red interior, has an N55 with Active Steering and Harmon Kardon. 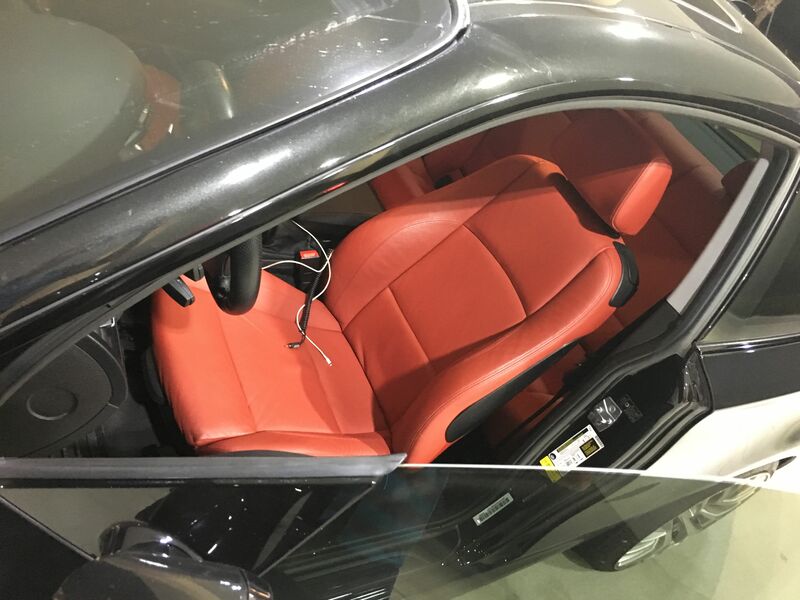 It has manual seats and no iDrive, so whoever built it sat down and built with specifics. I used to daily a 1991 CRX Si and kept the M2 as a weekend toy but the CRX was growing to be a pain without AC and wanted something newer. 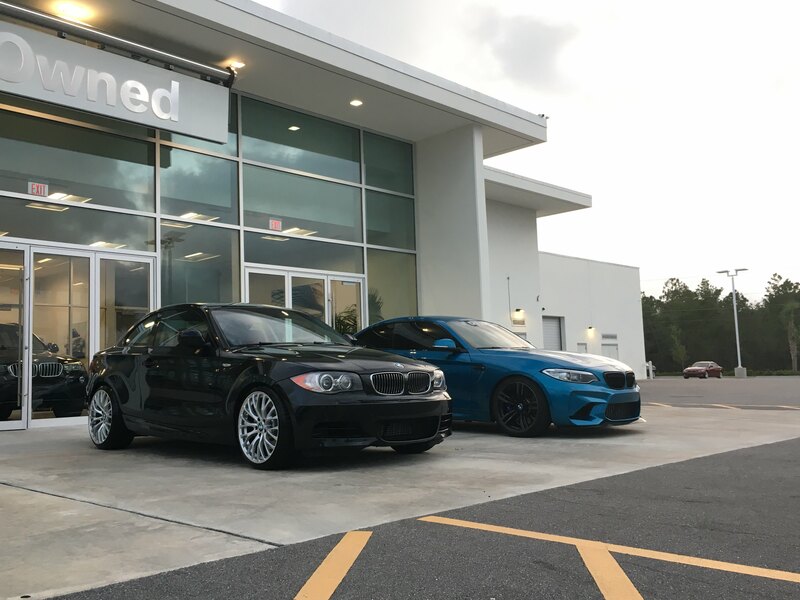 Picked up the 135i planning leaving it stock but ended up selling the CRX and dumping all the money from it into the 135i. Mods included a couple go fast bits, nothing crazy and mostly some aesthetics. 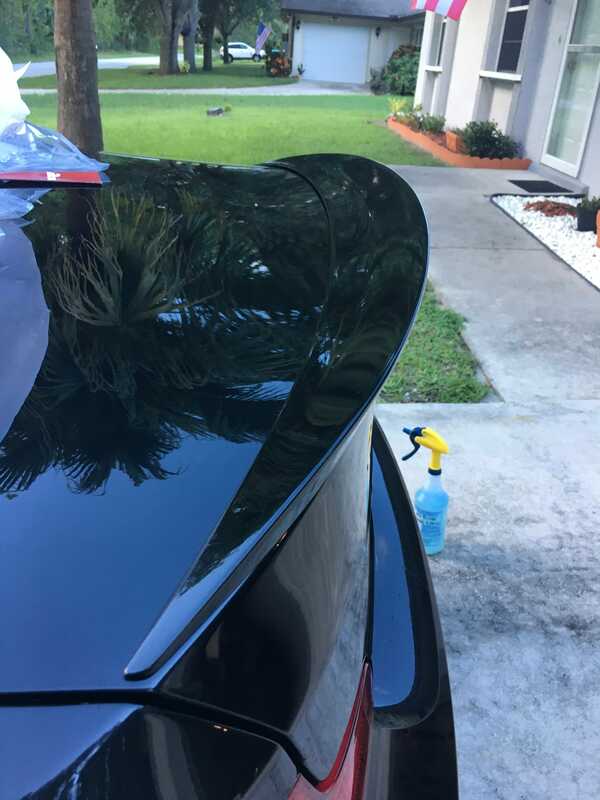 Car recently went thru a paint correction and Ceramic Pro treatment which came out great and finally motivated me to open a thread for the car. 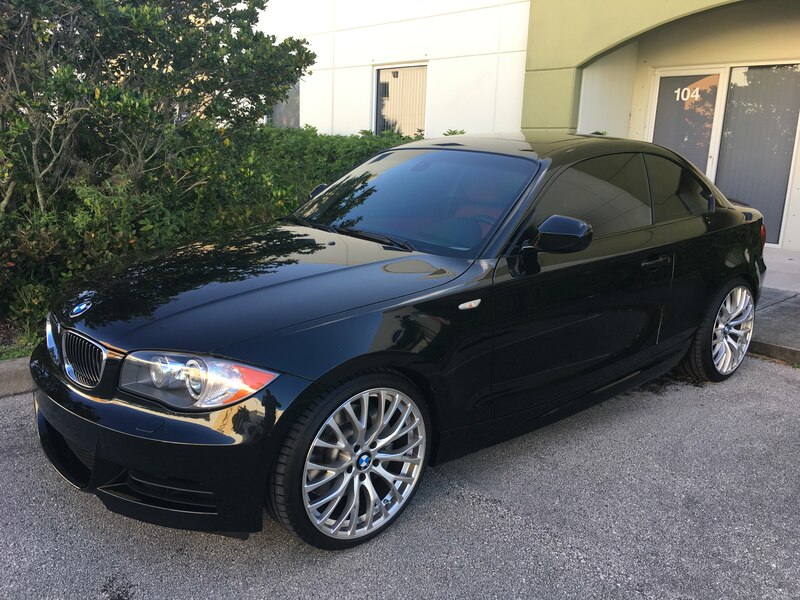 The car had been traded in the same day I saw it listed at a BMW dealer in Florida, I called and went to see it with intentions of buying on the spot if it looked as good as it did in pictures so the dealer performed the airbag recall same day so I could take it with me since it was 2 hours away from me. Couple pics of when I picked it up. 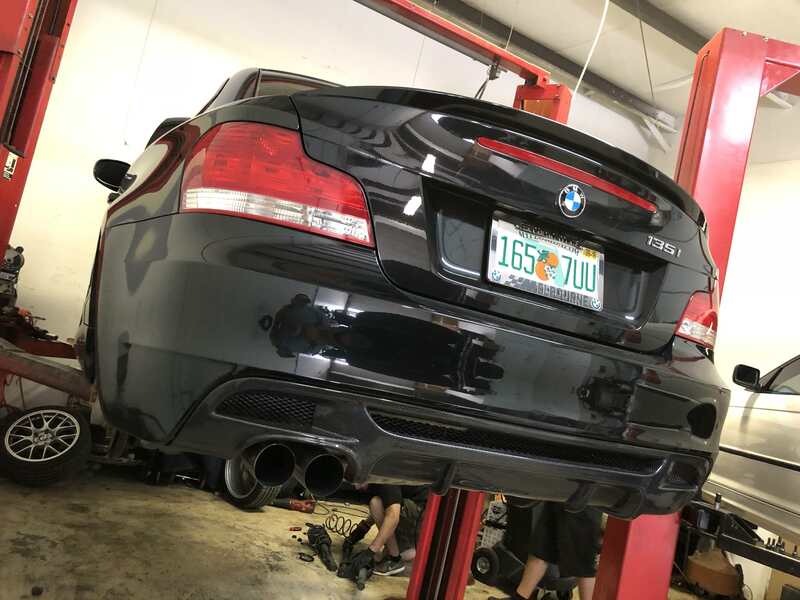 Car was completely stock and well maintained, clean in and out. 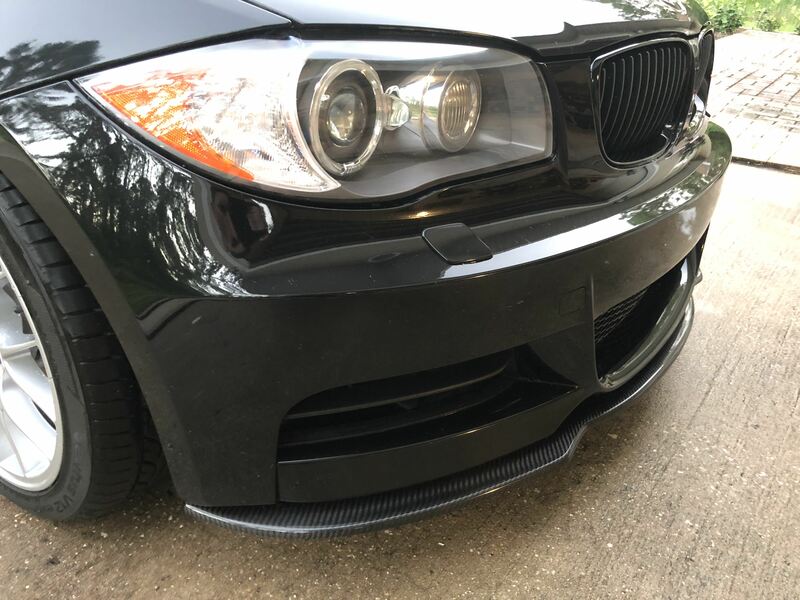 First change I made was the Black Kidney grills, I don't like chrome on my cars so had to ditch the OEM grill. 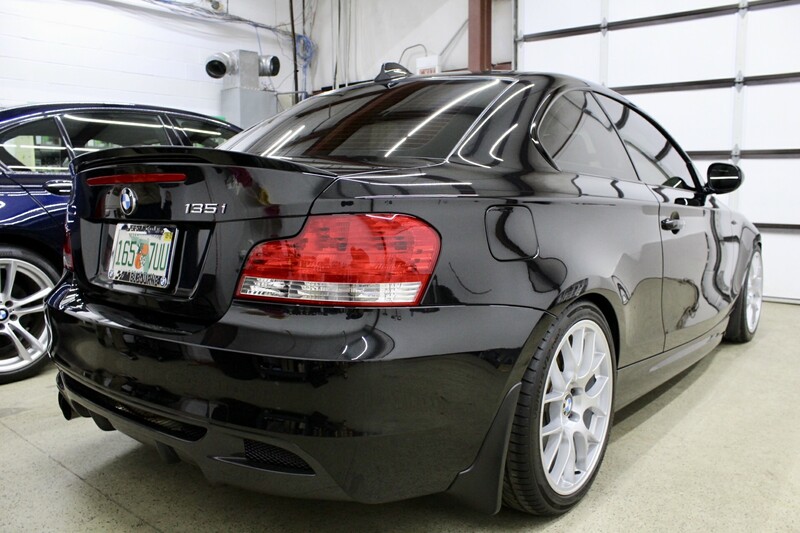 Added tints which are a necessary evil here in Florida with the sun and heat blasting all year long. 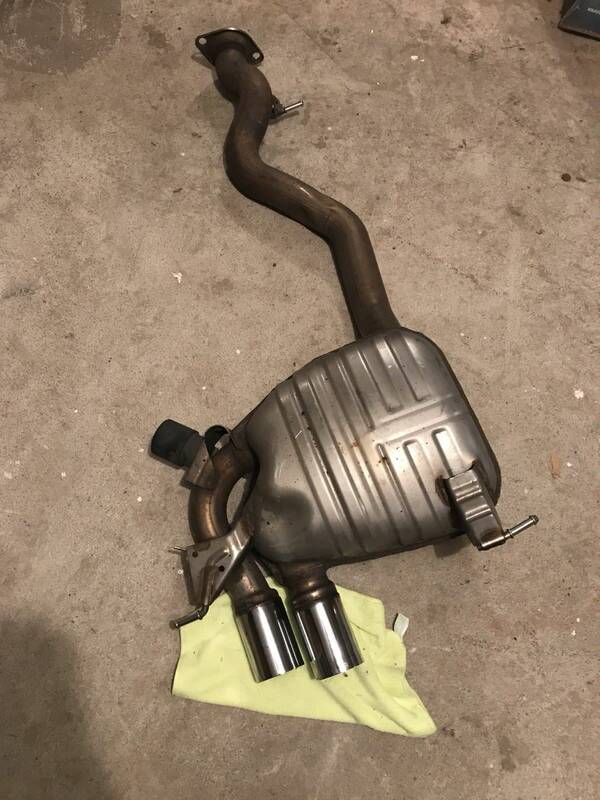 Car visited the shop that does all the work on my M2 for a full inspection and we found the stock charge pipe cracked so the official first mod was a VRSF charge pipe together with a fresh oil change. This is a late introduction thread, but better late than never. Welcome brother! 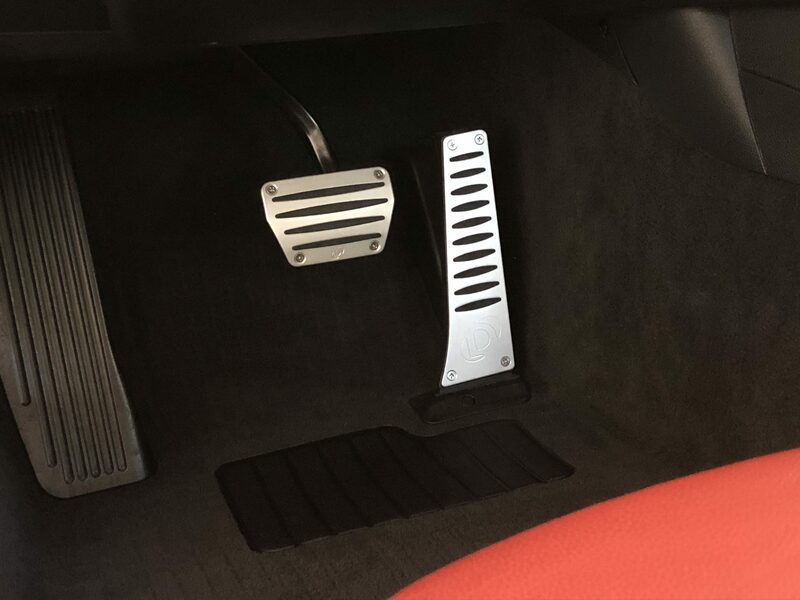 Nice to have you here... mudflaps and all. Haha! Thanks man, I appreciate many of your multiple replies helping other forum members. Many of the threads I learned from had replies from yourself. 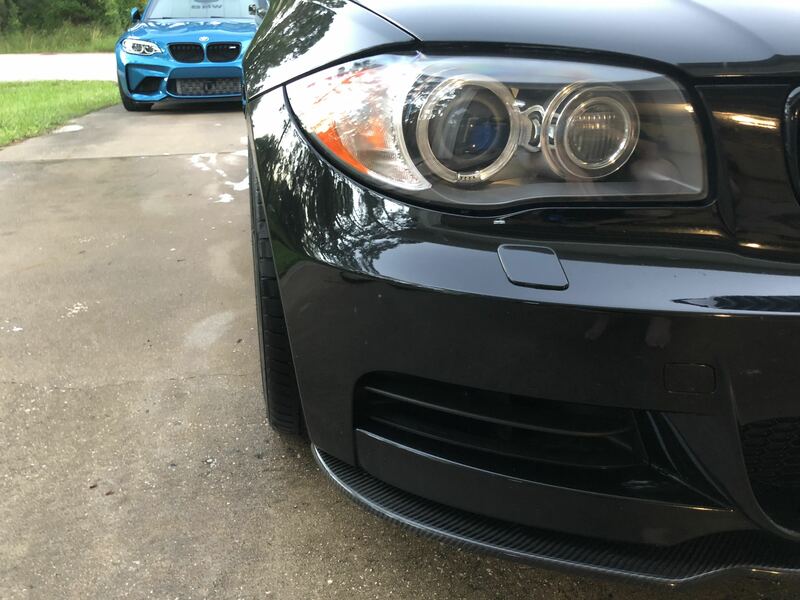 Better late than never and I finally got some pics after the paint correction so thought it was time to open a thread for the car just like I did for the M2! Great people here, and a great platform. 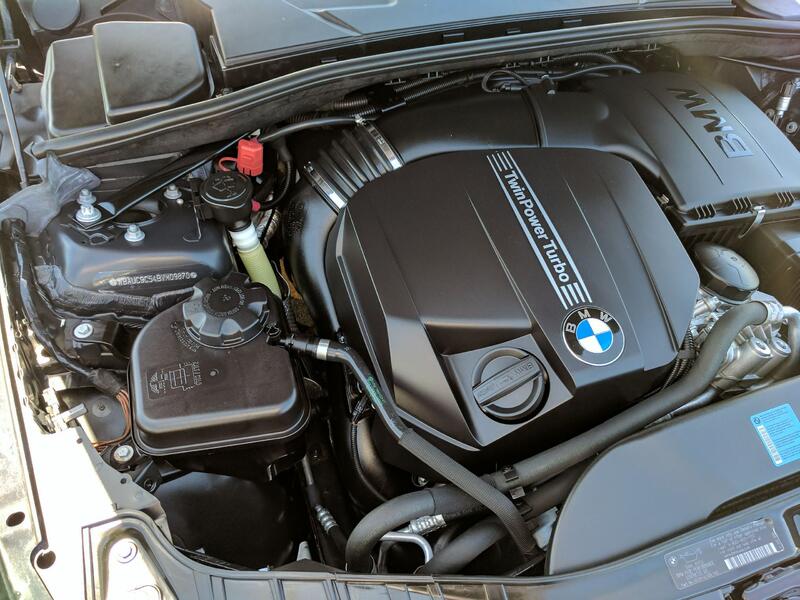 Whether it's a 128i, or 135i/135is, or the much celebrated 1M. As long as it's a 1 series! Was pretty happy with the interior condition but the wood finish threw me off since day one. Thankfully 08 1ER from here had a set of Piano Black interior for sale. 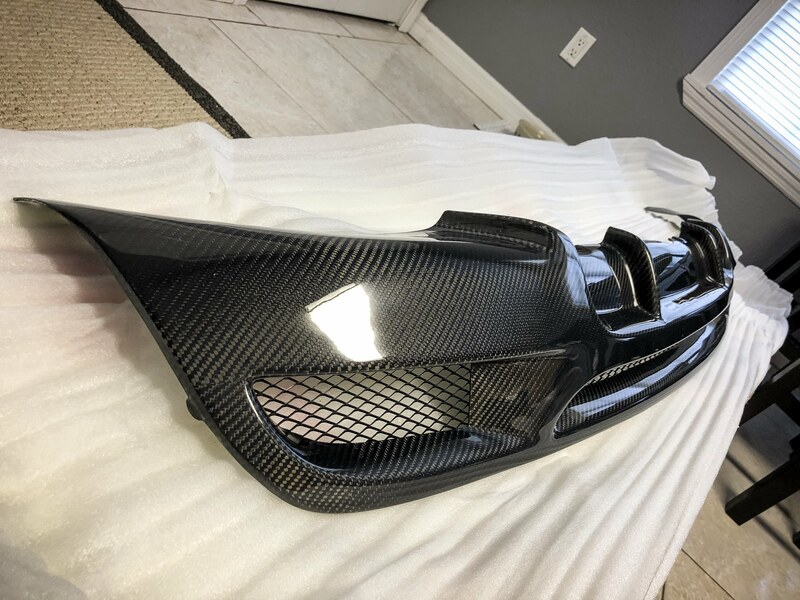 Picked up a couple carbon bits to change the exterior a bit. 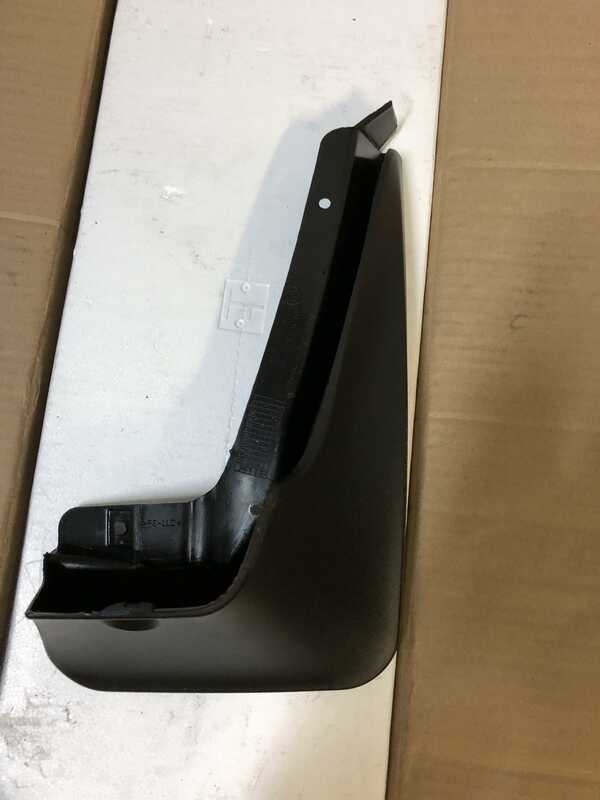 Got a rear diffuser thru Aliexpress from a link shared on a 135i Facebook group, fit and finish was pretty decent. Had to do some trimming to fit but came out clean. 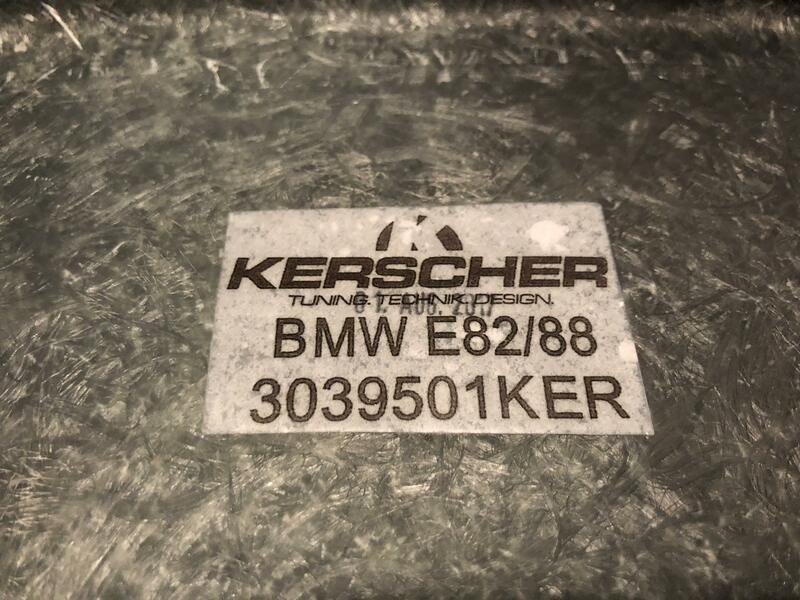 And after weeks of looking online at different options I went with a Kerscher front splitter, the quality of this splitter is extremely good. Included all hardware to install. Great looking car. Very tasteful upgrades IMO. 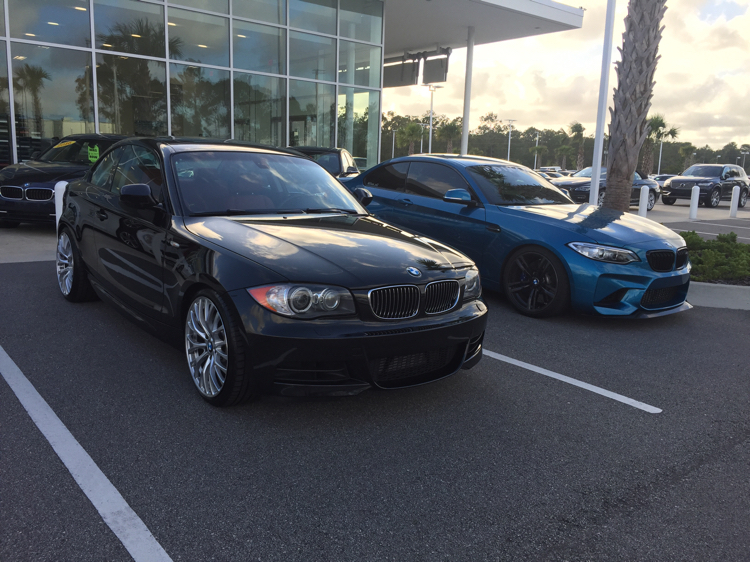 I had a BSM 135i with the Coral Red BTW. Loved my Coral Red. Still miss it! Thanks! 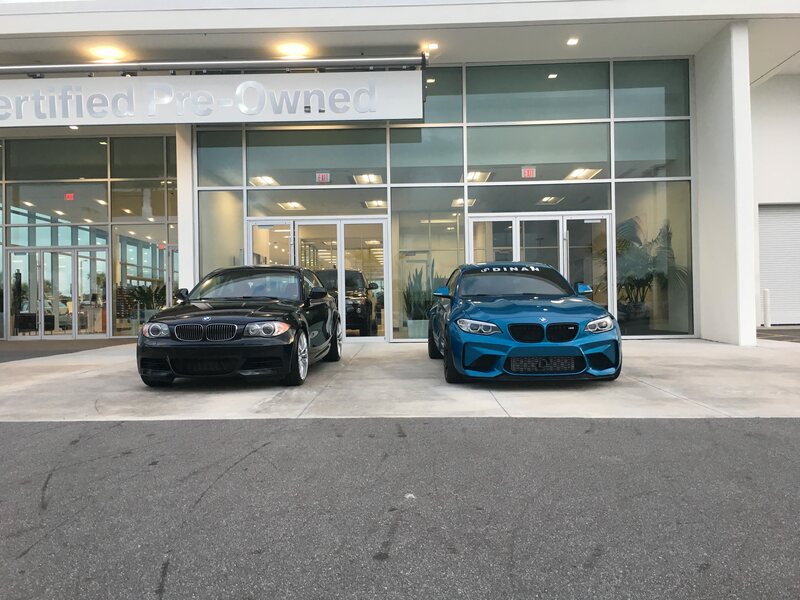 Well Lemans Blue is not shabby, I tried to pick one up i found in NC but the dealer did not want to bulge on the price! Since I bought the car I thought the paint was in great condition, it seemed to be garage kept and taken care of. Once I started looking closer I noticed it did have many swirl marks and could benefit of some TLC on the paint. 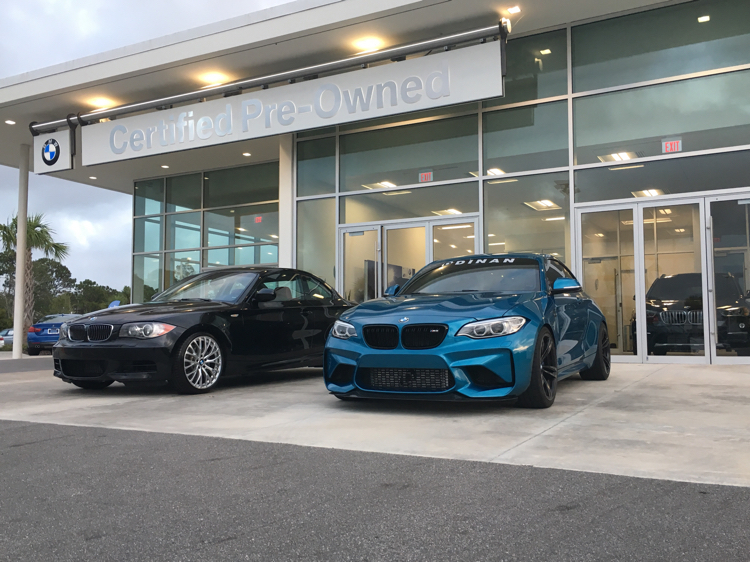 I took delivery of my M2 last year and had contacted a local company close to the Performance Delivery Center to do the XPEL Pain Protective Film on it. 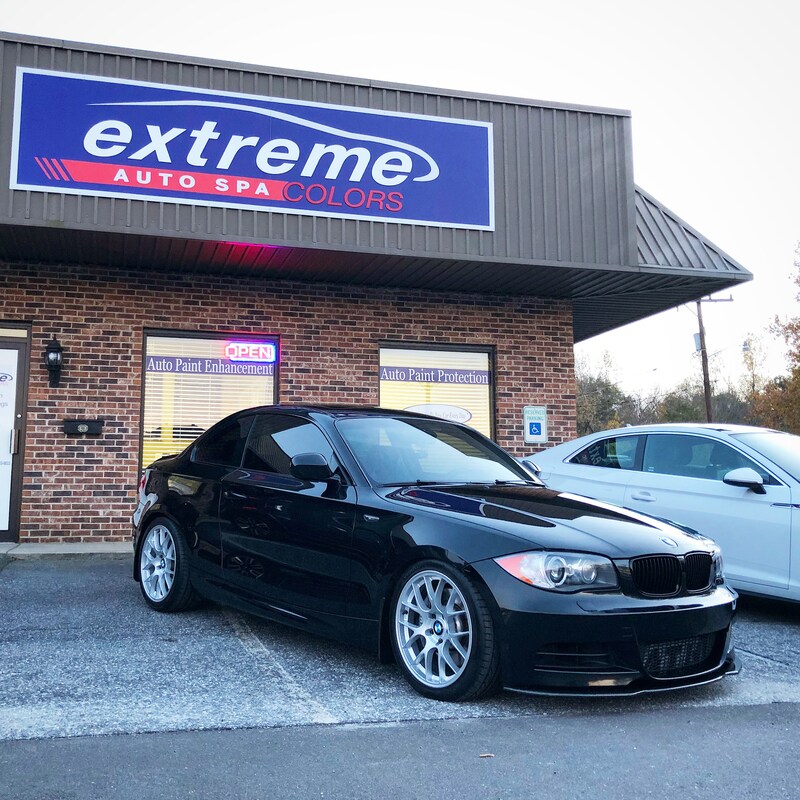 After long research I picked Extreme Colors Auto Spa to work the M2 since they worked all the PPF on the BMW Performance Center cars. I had always wanted to come back and visit South Carolina again since I was only able to spend a day there when I did my M2 PCD. 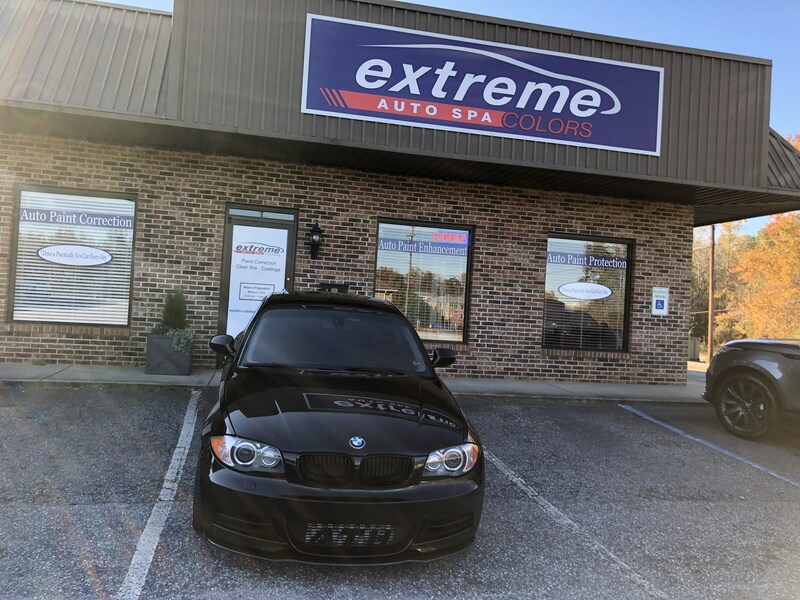 So after picking up the 135i I started planning a road trip to do some sightseeing at SC and Georgia while the shop worked on my 135i. 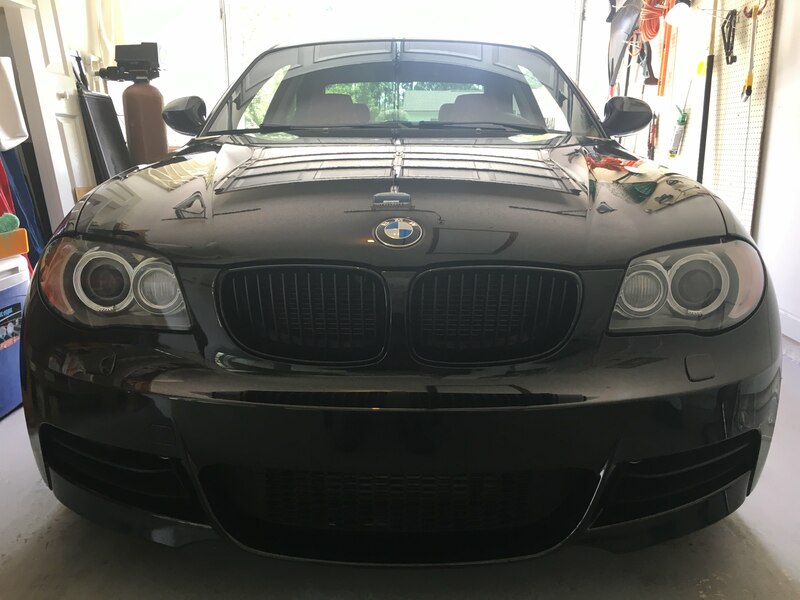 Car went thru a full paint correction and a 5 year Ceramic Pro treatment. They also pulled my wheels off and did Ceramic Pro on the entire wheel (face and barrel) and finalized with also doing my calipers. I thought the car had good paint until I saw how the car looked after finishing it, now I think it was thread worthy since it looks like it rolled off the assembly line. Got some teaser pics while the process was undergoing and was able to pickup on Wednesday around 4:00pm. I can’t get over how much better it looks now! I love those wheels a lot, they're perfect for E82s. Last edited by swagon; 11-26-2017 at 06:49 PM. Thanks! 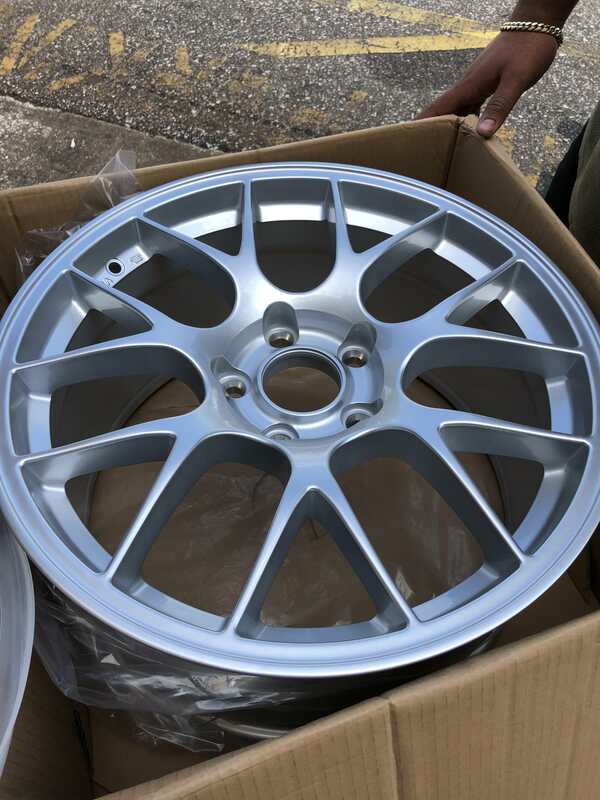 I think APEX did a great job making a wheel that looks great but also fits the E82 with its limited wheel adaptability. I loved the look of the ARC-8 also but they look so much different on cars with better fitment which make them look concave. 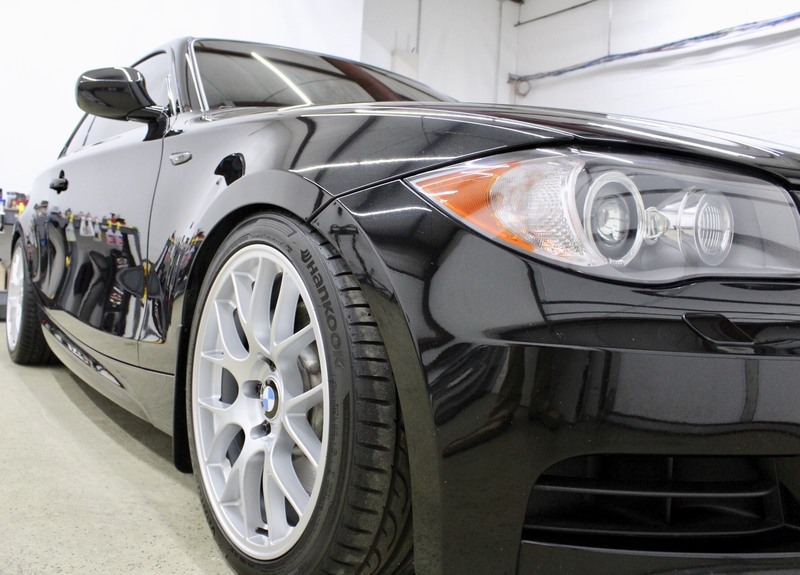 On the E82 fitment they looked too flat for my taste so went with the EC-7. Dude! How have I missed this thread! Well done man the car looks fantastic, especially with those lowering springs (heheh). 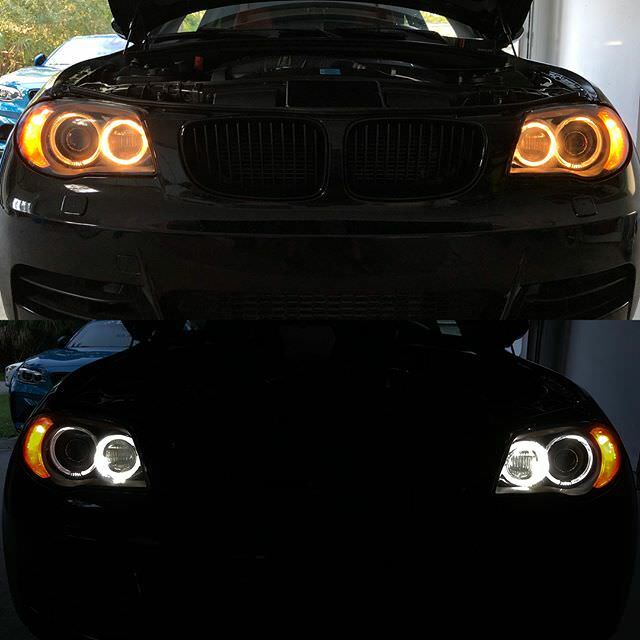 The paint correction really made all the difference too. Do you mind if I ask what they charged for it there? The places around me vary in price so much I don't know what's fair. Yes, they did a damn good job! Car looks gorgeous! Wouldn't mind knowing what they charged as well. Completely understand if you don't want to say, though. Well its kind of like Esteban said, its a late intro since I have been posting on the 1er forum for a couple months but had not opened a thread for the car yet! 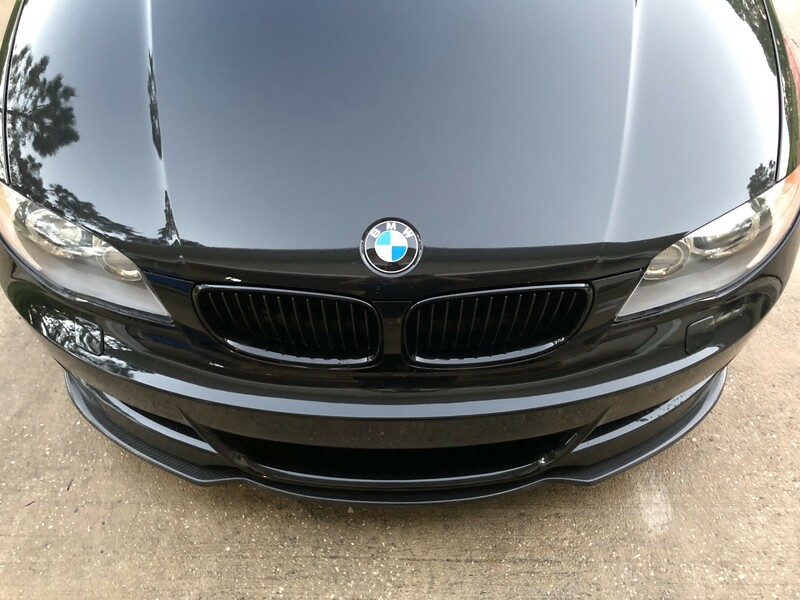 I don't mind at all talking about the price since I got multiple quotes from a couple places (more for the M2) and some were higher than what it cost me to do the 135i which to me is weird seeing the M2 paint does not have 6-7 years of damage like the 135i paint. Places will be all around usually based on the type of work you are being quoted for. 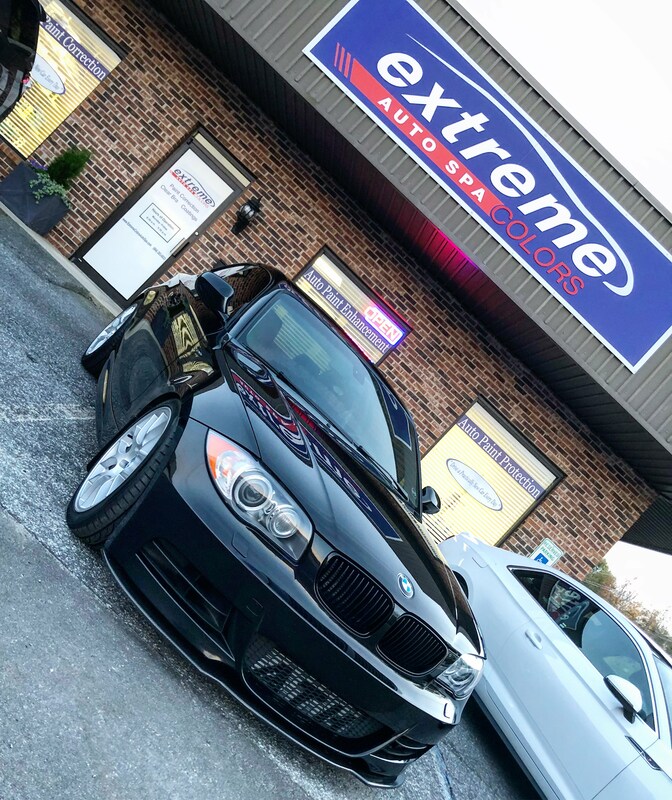 The 135i went thru a full paint correction and detailing which runs for $700, this includes a treatment of Ceramic Pro which lasts 6 months. 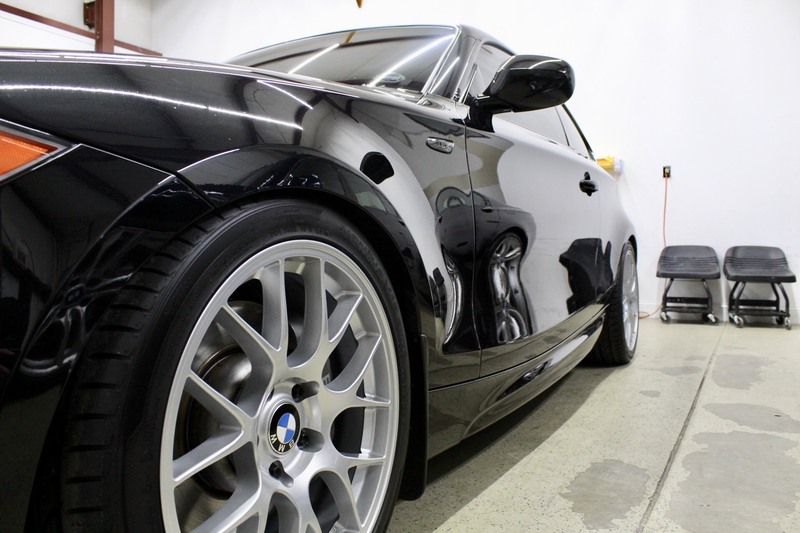 On top of that we included the Ceramic Pro 9H coating which is good for 5 years at a cost of $1300. Lastly they pulled the wheels off and did full face and barrels including brake calipers for $200. 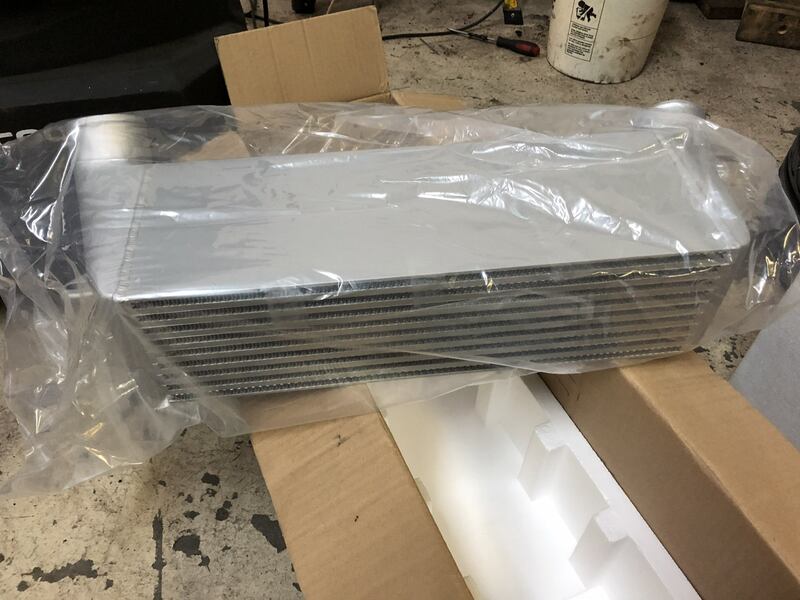 All said and done its $2200 dollars which to me was reasonable with the amount of work that goes into it and the standard pricing I have seen regarding the coating. 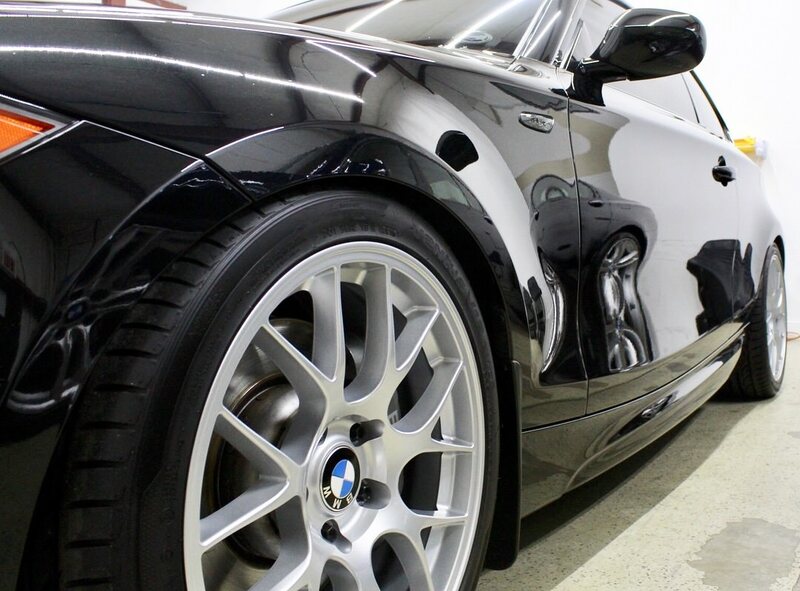 Your detailer should give you multiple options for Ceramic Pro coating (1 year, 5 years or Lifetime). 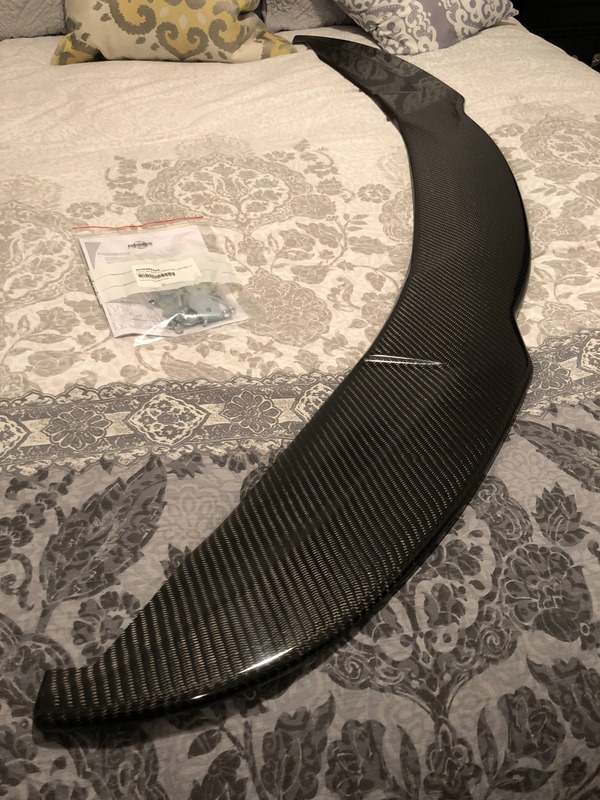 The benefits of this I will see in the next months since I understand that the coating allows the car to remain cleaner longer and cleaning it will much more straightforward since it repels dirt etc. 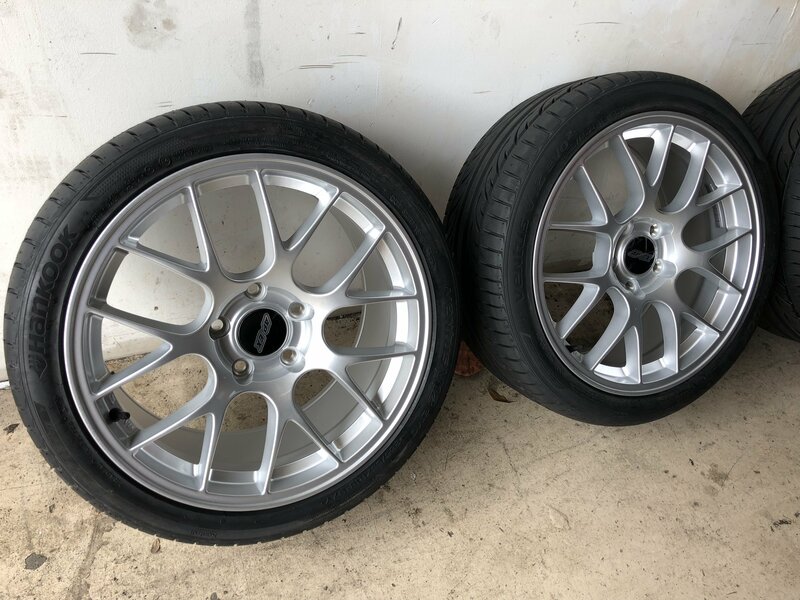 I usually clean the car and two days later the wheels being Race Silver looked black very quickly. This should keep them clean longer and should cleanup easier also. Thanks Esteban, I really can't believe how much better it looks now specially since I thought it was good from the get go. Broke down all pricing above. I am never secretive about any of the work on the cars. 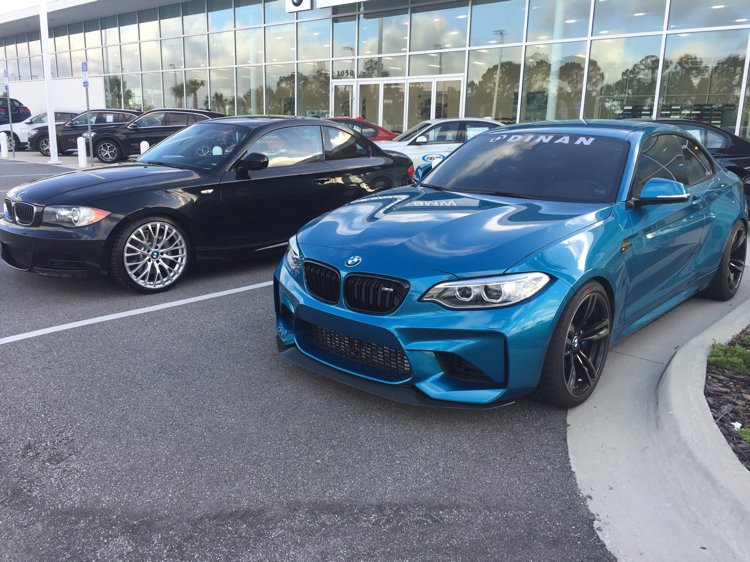 My M2 thread is loaded with details so this thread will most likely be the same. Cheers man thanks! 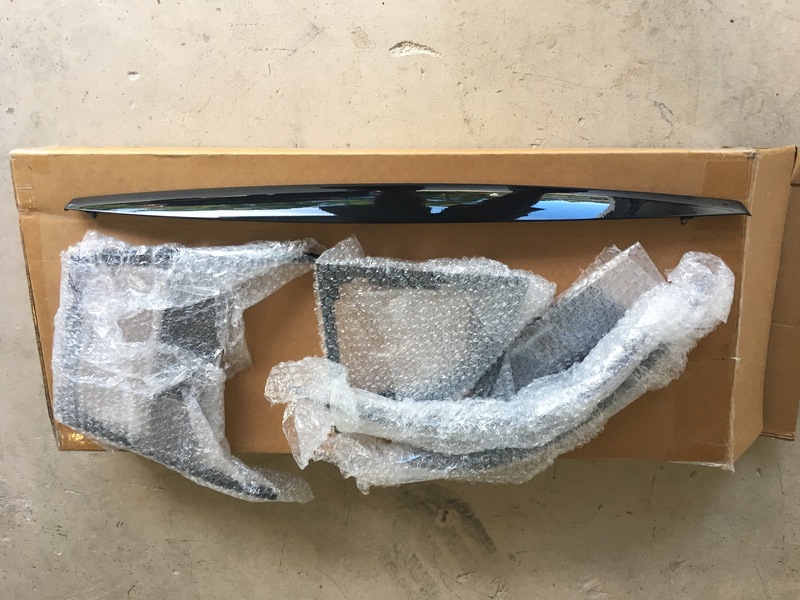 $700ish is about what I expected to hear for the paint correction. I'd probably source that and then do the coating myself. 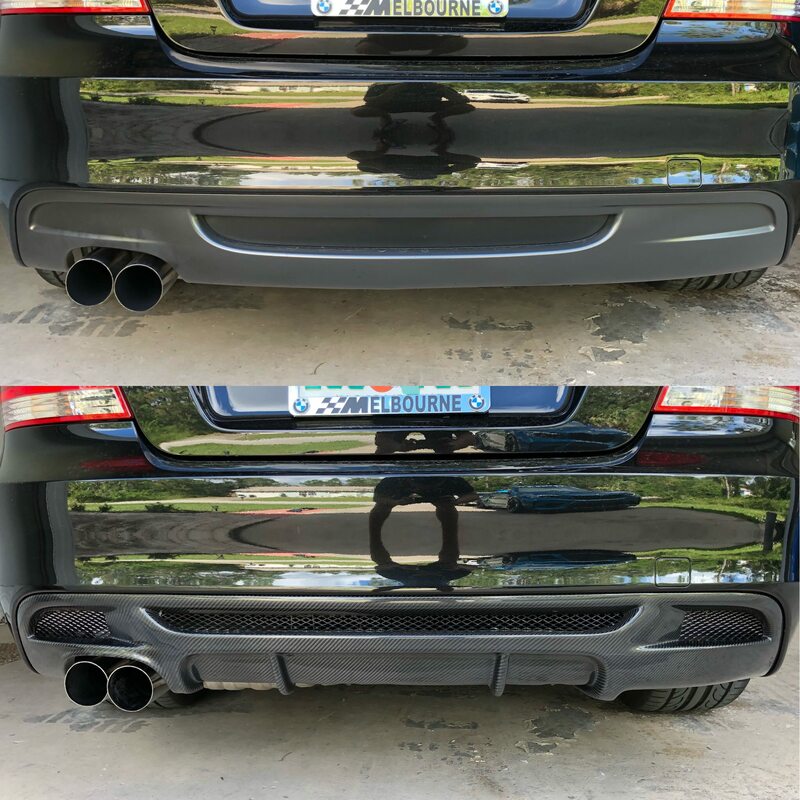 It's actually not a bad process, I have a ceramic coating on now that I did with a friend, it took us maybe an hour to do the whole car together. I really need to have it professionally corrected though because there's still swirls and some deeper scratches under the coating. I'd like to wait till I paint my CF hood though, so it can all be done at once. 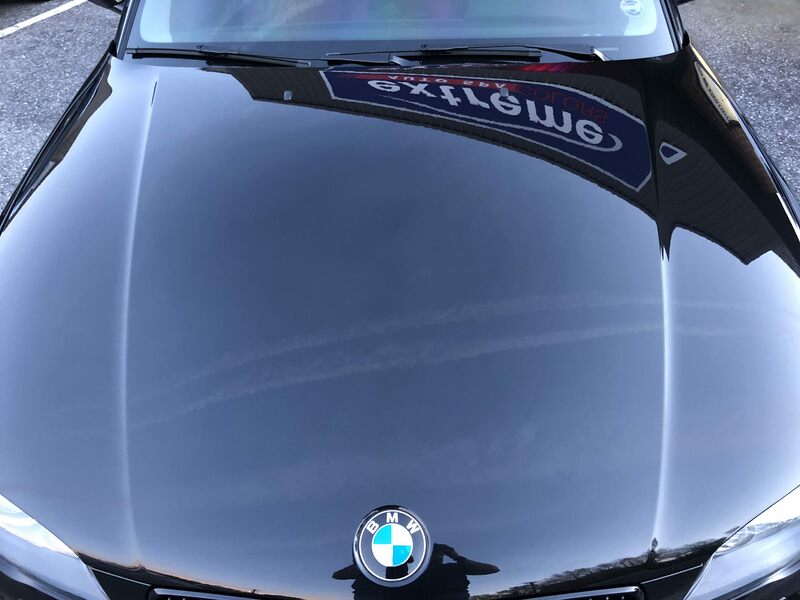 I can definitely attest to the ceramic coatings though; I used CQuartz UK, a single coat, and the difference is dramatic. 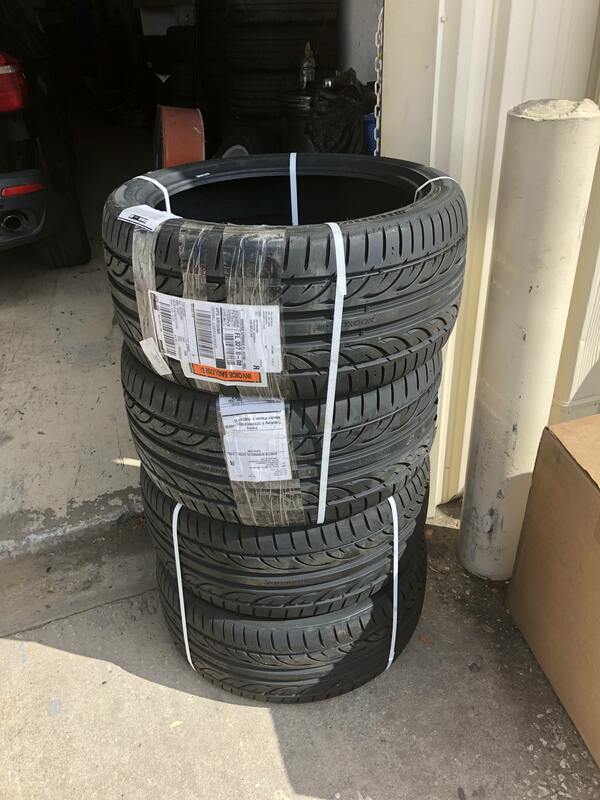 I often (at least monthly) do 400+ mile road trips and the car was holding up great for the first few months. Once it started getting nasty I just hosed it off with the foam gun and pressure washer and it looks fantastic. I highly recommend avoiding touching it when you can, touchless washes will do more than you expect and keep the coating at top condition for longer. When it does come time to do a real wash, do a proper two-bucket wash and makes sure you only wash in straight lines. This will prevent you from ever getting swirls again. The fact of the matter is you can't completely avoid scratches from washing, if there's contact with the paint and movement, there will be scratches at some point. Moving in a straight line only guarantees that any scratches will be straight lines as well, which will only show up from very specific angles. 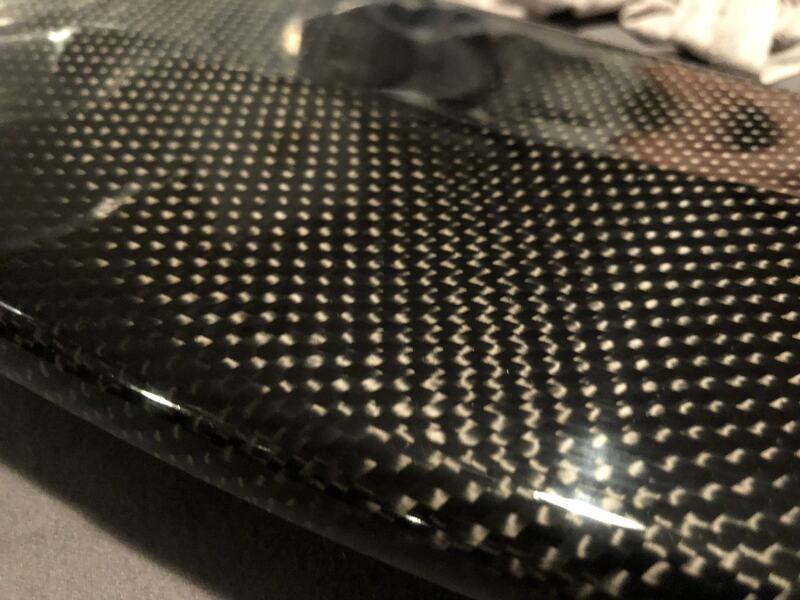 Swirls are so obvious because the scratches are circular and have way more reflective angles to catch your eye and piss you off after all your hard work lol. The car already has a couple things that make it quick. I dont see myself doing E85 but I also said it was staying stock when I bought it. 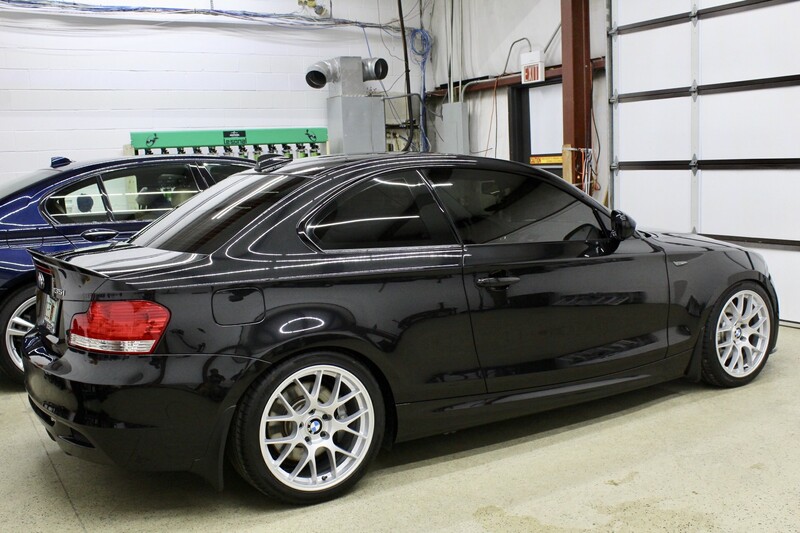 I want to do a couple more things to the M2 so for now I am holding off on more mods to the 135! 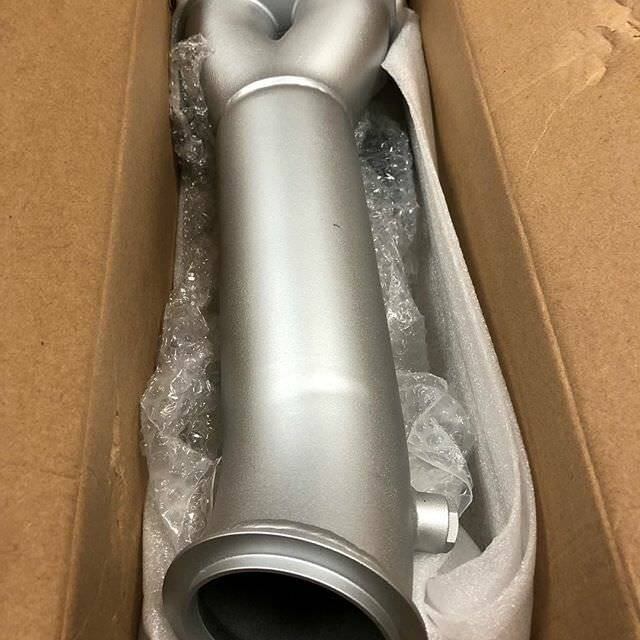 Got these today and installed! 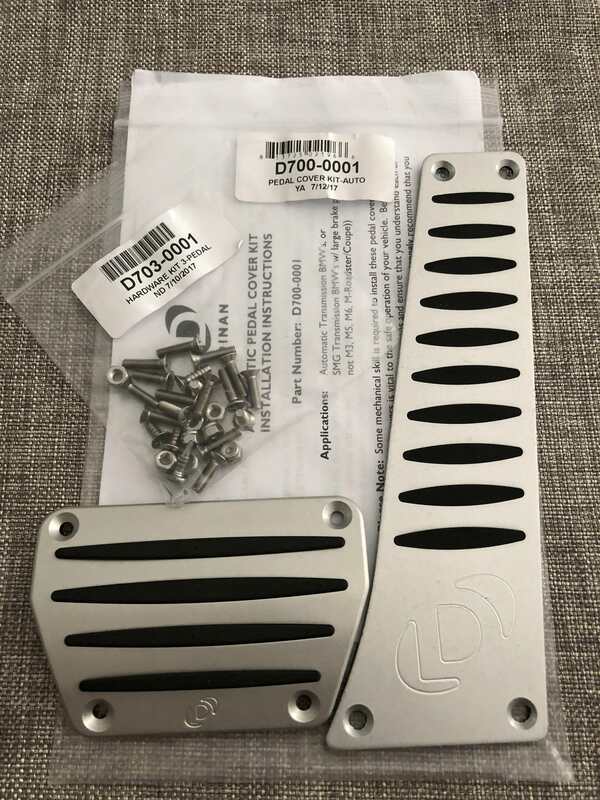 Nelson Racing Wheels adapters with tom @ eas EAS Pedal Haus paddles from an M3..
Those look N-I-C-E! Might consider them myself!